The Finnish authorities may ask you to legalise a foreign document. This should be done in the country where the document was issued. 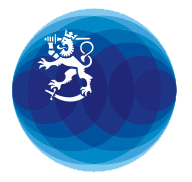 The competent Finnish mission in the country legalises the document by appending to it a certificate proving the right of the official at the country’s ministry for foreign affairs to issue such certificates. Thailand is not a signatory to the Hague Convention. You must therefore have the certificates issued by Thai authorities translated into English and then have the originals and the translations legalised, first at the Ministry of Foreign Affairs of Thailand and then at the Embassy of Finland in Bangkok. The authorising party is the person whom the document applies to. In the case of a minor, the authorising party is the child’s legal guardian.